The winning recipe from our latest recipe contest! 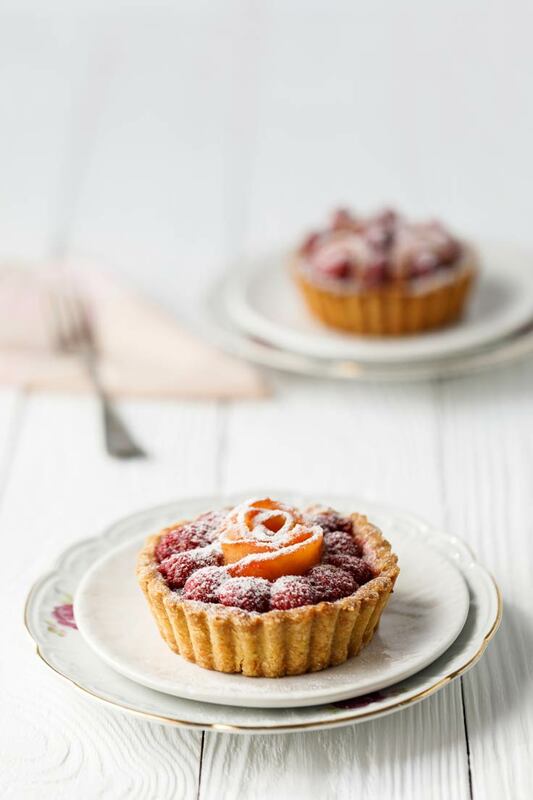 Niara Cakes won with her beautiful and delicious peach and raspberry mini tarts! Makes four 4" tarts. Pour the wet ingredients into the dry ingredients and make a dough. Divide the dough into 4 discs and wrap separately. Chill for one hour. Meanwhile, preheat the oven to 425℉. Place the sliced peaches and defrosted raspberries in a bowl. Add Raspberry Artisan and stir to combine. Set aside. Make the crumble topping by combining all the ingredients and mixing until the butter is pea sized. 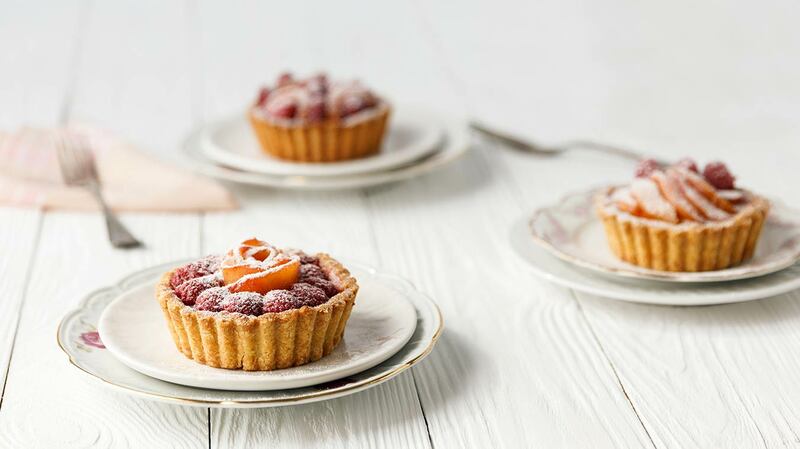 Chill while making the tart shells. Lightly spray four 4“ tart pans. Press each one of the discs of dough into a tart pan, gently pushing the dough up the sides. Place a small piece of parchment paper into each tart shell, fill with pie weights/rice/beans and par bake the shells for 15 minutes. Remove the parchment and pie weights and return to the oven for 8 more minutes. If the fruit mixture is soupy, drain it before filling the shells. Spoon the crumble mixture over the top of each tart, sprinkle each with demerara sugar and bake for 30 minutes or until the crust is golden brown. Let cool and pop out of the pans.